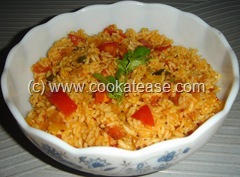 Tomato rice is very much suitable for lunch box and is a favorite dish of children too. 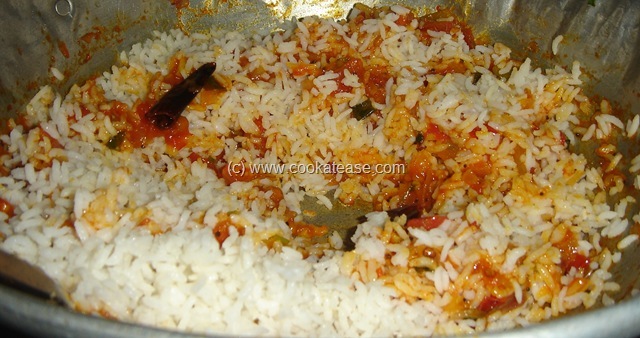 Though many variations of tomato rice is available, I have prepared it in the authentic way. 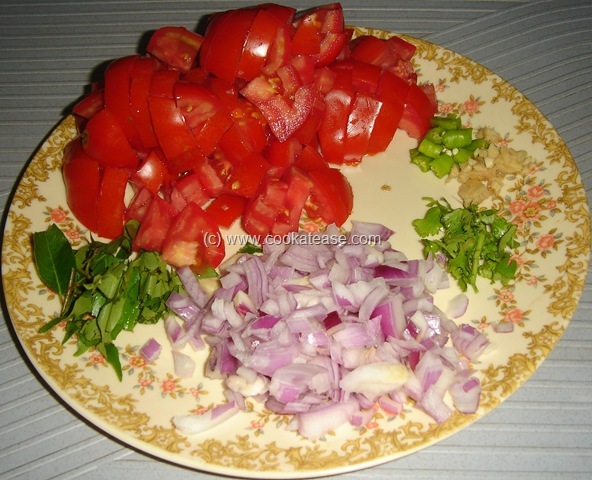 In my home, even onion is not used in this recipe but I have added one onion. Cook rice, as such the cooked grains are separated well and not sticky. 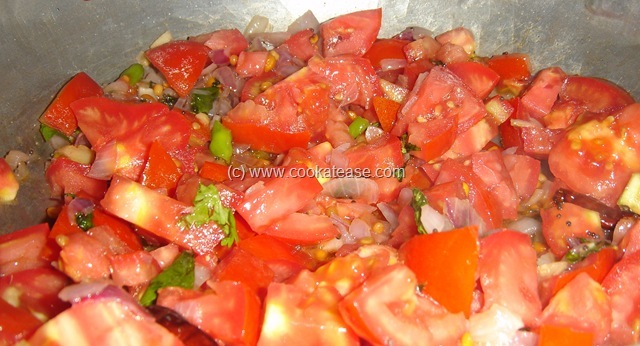 Chop onion, tomato, ginger, green chilli, curry and coriander leaves. Heat a pan with oil , add mustard, then Bengal gram, urad dal, asafetida, broken red chilli; then add chopped curry, coriander leaves; add onion, ginger, green chilli chopped; fry till onion is transparent. 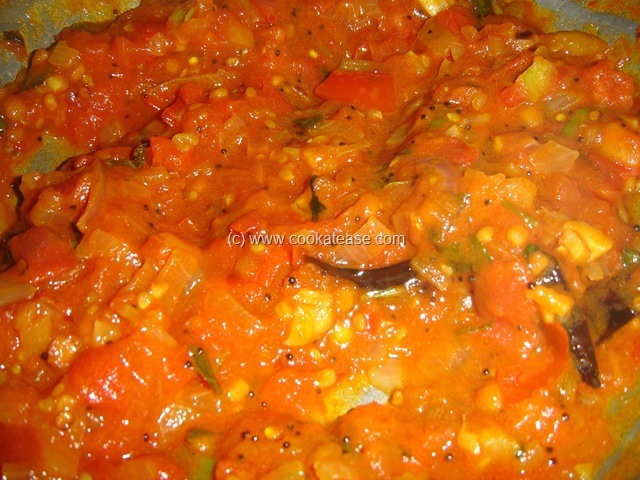 Add chopped tomatoes, fry for 2 minutes; add all dry powders given and salt; cook until tomatoes are soft and mashed with spatula. Switch of flame, then add cooked rice, mix well gently. Colourful tomato rice is ready; serve with any dry vegetable fry, pachadi and papad. 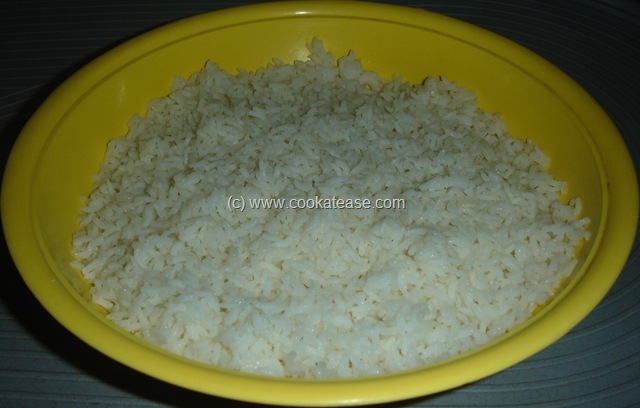 If rice is not cooked with grains separated, do not worry; cool the rice below fan, then apply few drops of oil and gently mix; you get cooked grains separated which is suitable for all fried rices. Wow wat a gorgeous click, am ready to finish that bowl…yumm! Wow. 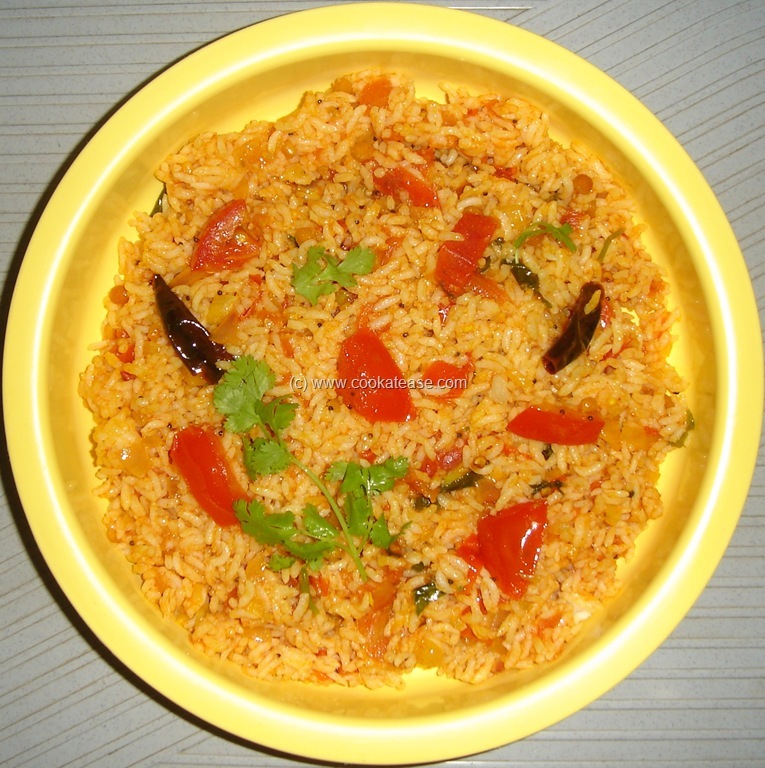 I love tomato rice. Your version looks yummmmm..
I’ve always loved Thakali Sadham. My mother used to pack it whenever we traveled by train. Loved the pics on your post too. I’m following you now. This looks amazing. 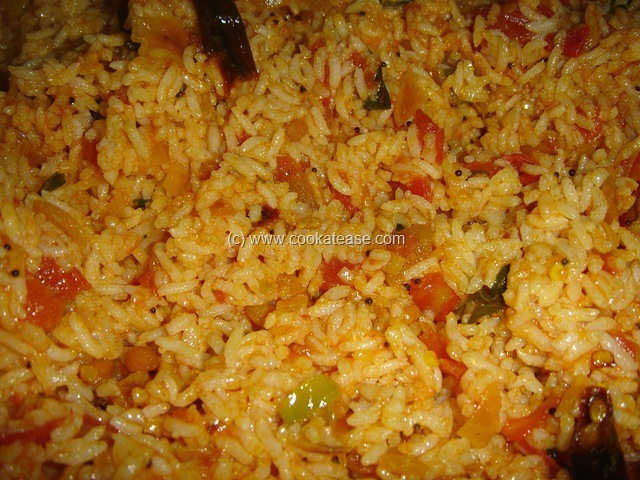 I love both to prepare and to eat tomato rice. I’ve a doubt, ppl nowadays add masala ingredients like Brinji leaf, Pattai etc.. But here in this, you dint add any such Ingredients. Is it OK if such ingredients are not added? It is actually a very good recipe for lunch. 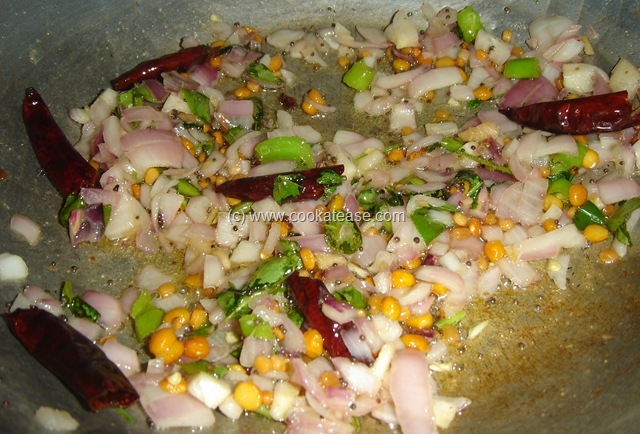 As you said, nowadays people add brinji leaf, pattai etc., to get more masala flavour. Then it will taste more like pulao. Variations in using masala and seasoning differ home to home or region to region. 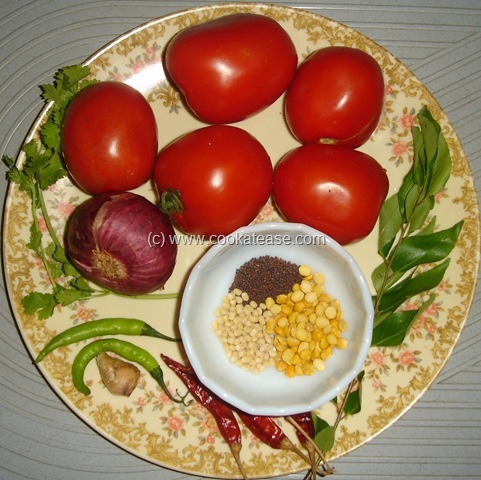 Adding sambar powder instead of chilli powder and coriander powder will give more aroma and taste. I used to add even green peas during frying other items. Made this for lunch this day. It was very tasty with a traditional touch. My husband liked it very much. Thank You.